It is the end of June, and I am forced to face the task of buying a new bathing suit. Why must you make it so hard? Seriously, why must you include “push-up” padding in size XL bathing suit tops? Do you really think that if I am buying a size XL top, that I really want to enhance my already-big chest? Because news flash: I am not. I wear a size medium in shirts, and I buy XL bathing suit tops to look decently modest: I really do not want to look like I am running around the pool in a brightly-colored, bedazzled push up bra. Disclaimer: I received this product complimentary from Influenster in a VoxBox for review purposes. I was really excited when I saw this lip product in my VoxBox. I tend to like NYC products because they are cheap, and more accessible to me than brands such as ELF. They are good for a nice little “pick me up” or as a way to experiment with colors you might not normally try without a big financial risk. I’m glad to see that they have upgraded their products somewhat. First Impressions: This product looked to me like all of those lipsticks that were in a few years ago with the “hydrating inner core”. It is labeled as a “glossy lip balm”. Be forewarned: this thing smells. Maybe I got a bad product, but it smells like melted plastic with a hint of artificial fruit- not very pleasant. It is also more pigmented than I was expecting. It is definitely a sheer red. 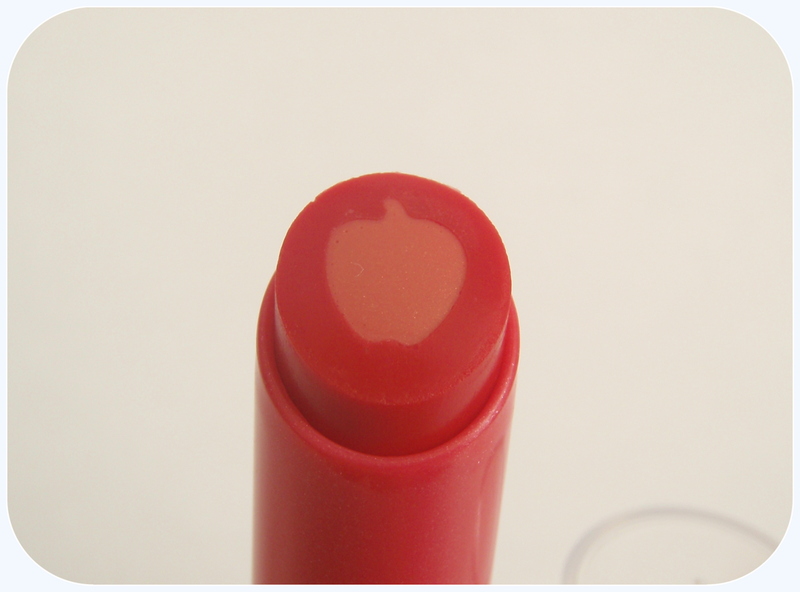 I wouldn’t say it is a lipstick but it is definitely more than a balm – more a tinted balm or a stain. This was a little bit shocking for me because I wasn’t expecting it to turn out so bright – but it is definitely red. I am not really a fan of bright colors on my own lips, so it was a little startling, although the color itself is nice. Overall: Retailing for just $2.79 a pop, I think they’re a worthwhile treat for yourself or a way to get comfortable wearing light color, granted that you don’t have an overly sensitive nose (or hopefully that I just got a particularly smelly product). I wish I had been sent a different color that is a little bit more to my taste, something more neutral, but perhaps I will have to go pick one up the next time I am at the drugstore!